Most women have some slight degree of asymmetry with one breast that is slightly larger than the other. When there is a significant difference in the breast size or shape, this can pose problems with self esteem, women may feel awkward in public and intimate settings, not to mention difficulty finding proper bras to wear. Correction of breast asymmetry varies with each patient, and may require asymmetric breast augmentation, asymmetric breast reduction, asymmetric breast lift, or some combination of all three to balance your breast appearance. Dr. Garcia has extensive experience with correction of all form of breast asymmetry. With breast surgery, women can enjoy proportioned breasts and feel more confident in their appearance. If this is something you would like to learn more about and you live in the Saratoga or Glens Falls area, request a consultation or call the office at (518) 793-0475 today. Correcting breast asymmetry requires surgical skill and an artistic eye to sculpt the breasts so they appear similar. In addition to the cosmetic benefits, women who undergo the procedure also appreciate that they can wear more revealing and tighter-fitting tops without feeling uncomfortable about their breast appearance. Dr. Garcia uses a variety of techniques to improve irregular or asymmetrical breasts. After your surgery, you will be wearing a compressive sports bra. You need to follow Dr. Garcia’s post-op instructions carefully. After a couple weeks, you should be well on your way to a more symmetrical, balanced breast appearance. At your consultation, Dr. Garcia can answer your questions about correcting breast asymmetry or any of the other cosmetic surgery procedures he for Glens Falls, Lake George and Saratoga Springs residents, including BOTOX® Cosmetic, Juvederm®, facelift or tummy tuck. 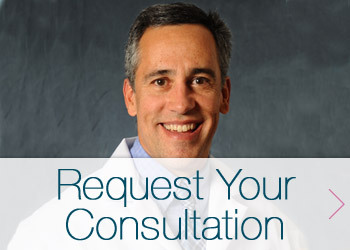 Request a consultation online by filling out the form below or by calling (518) 793-0475 today.